In this essential handbook for all those researching landscape history, Richard Muir explains how to recognize and interpret the complex evidence for historical change in England's countryside. Drawing on the wealth of research carried out since Reading the Landscape was originally published in 1981, Muir provides a masterly synthesis of current thinking about the history of the key elements in England's rural landscape. As well as covering familiar topics such as villages, woodlands and roads, he explores how landscape features are human ideas made manifest-boundary walls and hedges reflect territoriality, churches and henges reflect belief and castles and hillforts reflect status and the need for defence. Throughout, he explains how the researcher can link the evidence of field archaeology, ecology and documentary research to develop as complete a picture as possible. An entirely rewritten successor to the original Reading the Landscape, with full referencing. Illustrated with 60 original maps guiding the reader through the interpretation of specific sites, and 40 high quality landscape photographs. Includes 29 tables explaining key landscape features, and how to diagnose them in the field. Richard Muir is Senior Lecturer in Geography in the University College of Ripon and York St John. He is one of Britain's most widely published and respected landscape historians. Two of his bestselling books on British landscape have won the Yorkshire Arts Literary Prize. In this essential handbook for all those researching landscape history, Richard Muir explains how to recognize and interpret the complex evidence for historical change in England's countryside. Drawing on the wealth of research carried out since Reading the Landscape was originally published in 1981, Muir provides a masterly synthesis of current thinking about the history of the key elements in England's rural landscape. As well as covering familiar topics such as villages, woodlands and roads, he explores how landscape features are human ideas made manifest-boundary walls and hedges reflect territoriality, churches and henges reflect belief and castles and hillforts reflect status and the need for defence. Throughout, he explains how the researcher can link the evidence of field archaeology, ecology and documentary research to develop as complete a picture as possible.An entirely rewritten successor to the original Reading the Landscape, with full referencing. Illustrated with 60 original maps guiding the reader through the interpretation of specific sites, and 40 high quality landscape photographs. Includes 29 tables explaining key landscape features, and how to diagnose them in the field. This latest book from Richard Muir deserves to become influential with a wide range of landscape professionals. It should also appeal to the knowledgeable amateur and be required reading by all those responsible for developing and managing change in the landscape . . . Although covering a lot of material, the book is written well enough to maintain interest and to be re-read. It is ably supported by effective quotations, maps, figures and summary tables. This completely rewritten version of Muir's earlier book about the interpretation of landscape, originally published 20 years ago, is exciting and compulsive reading. It covers a range of aspects of landscape history (or historical geography, depending on how you look at it) in an eclectic and passionate way, combining analysis and aesthetics in a brilliantly fluid narrative . . . The book will be an ideal companion for teachers who themselves are keen on fieldwork and who want to know more about the heritage and the underlying sub-text of the landscape in which they and their classes go out to study and learn. 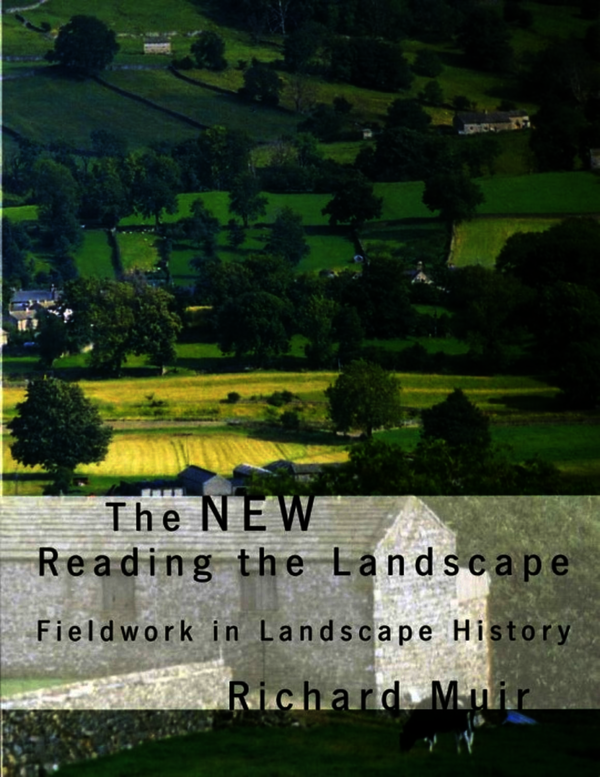 Overall, the title of Muir's The New Reading the Landscape: Fieldwork in Landscape History describes exactly what this book is: a guide to how we can use evidence contained within the fabric of today's countryside to understand its history. It is extremely well illustrated, very reasonably priced, and will form a valuable guide for anyone who is curious about the history of our landscape. For anyone interested in learning about the landscape, particularly for anyone wanting to go forth and muddy their boots to find out more, this is an excellent introduction . . . a guide to how to understand what is all around us. It allows the reader to begin to make some sense of what the landscape mutely records about the beliefs and social patterns of past societies. It is supported in this by an attractive format, clear informative diagrams and beautiful black-and-white photographs that vividly illustrate the landscape described in the text. The breadth gives a newcomer to the field a sufficiently good general introduction to the theory and practice of landscape history to be able to go out and ‘try it for themselves’, with the likelihood of achieving a fair initial result… The excellent presentation, the thematic arrangement and the breadth of the book means that . . . it will deservedly become a textbook for the next generation of students of the landscape. There is nothing else quite like it in combining the theoretical perspectives with practical hints for field observation and interpretation, despite a number of recent publications. It has filled a gap that needed filling.